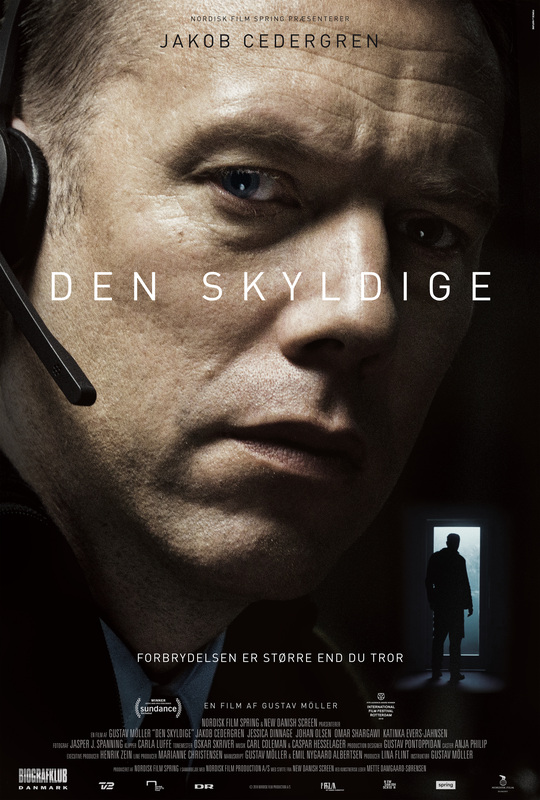 With all the action taking place wihin the confines of the Emergency East call centre, and for much of the movie within the further confines of an office where only Asger is situated, The Guilty relies heavily on both its plot, and Cedergren’s performance. Luckily, the plot is a gripping, edge-of-your-seat race against time scenario that sees Asger make a number of mistakes – some avoidable, some not – that both highlight and complicate the urgency of the situation, and which rely on the drip feed of information that some viewers will be able to piece together before Asger does. It’s a scenario that requires Asger to be a very good listener, but with his own issues weighing heavily on him, this proves difficult for him to achieve, and as he gets in deeper and deeper – even to the point of involving one of his police colleagues, Rashid (Shargawi) – his feelings of guilt over the incident that has brought him to the call centre begin to overwhelm him, and his efforts to do the right thing become more and more desperate. As Iben’s situation worsens, so too does Asger’s, and as he strives to save her, it becomes obvious that he’s trying to redeem himself at the same time. This duality of purpose becomes more and more explicit as the movie progresses, and thanks to a sterling performance from Cedergren, Asger’s taciturn, dismissive demeanour gives way to a maelstrom of unexpected emotions that ultimately prove to be both the source of his undoing and his redemption. Asger isn’t the most sympathetic of characters, and Cedergren makes no attempt to soften him or make him more agreeable, but the narrative is still looking for that positive outcome, and if only Asger can swing it, then that’s okay. Möller and editor Carla Luff instill the movie with a sinewy, muscular rhythm that deflects from just how many times the camera placidly, but effectively observes Asger in close up, and the restrained camera work by DoP Jasper J. Spanning is suitably claustrophobic, making good use of the limited space Asger occupies and further highlighting the urgency of the situation. 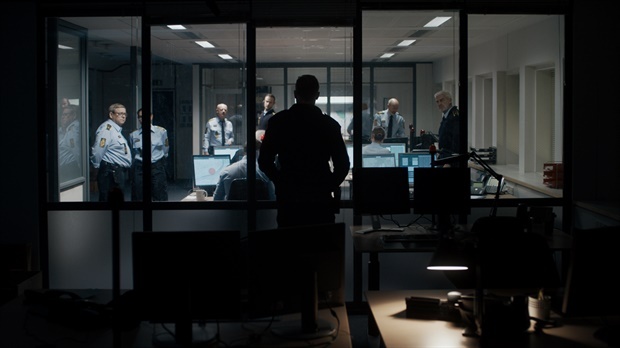 With good supporting performances from his voice cast, Möller teases out the truth in stages, and confounds audience expectations on a couple of occasions while playing to the gallery at others. It’s a compelling thriller, commendably staged and cleverly executed, and one that balances the demands of its main plot with that of Asger’s own situation with style and a surfeit of brooding self-confidence. Rating: 8/10 – Denmark’s entry for Best Foreign Language Film at next year’s Academy Awards, The Guilty is a riveting, tightly constructed thriller that doesn’t short change the viewer, or betray its own internal logic in the final third as so many thrillers do; quietly devastating in places, its relatively short running time means not a moment is wasted, and there’s depth lurking beneath the simplicity of the main set up.